Her rapid-fire interrogation made me more flustered. 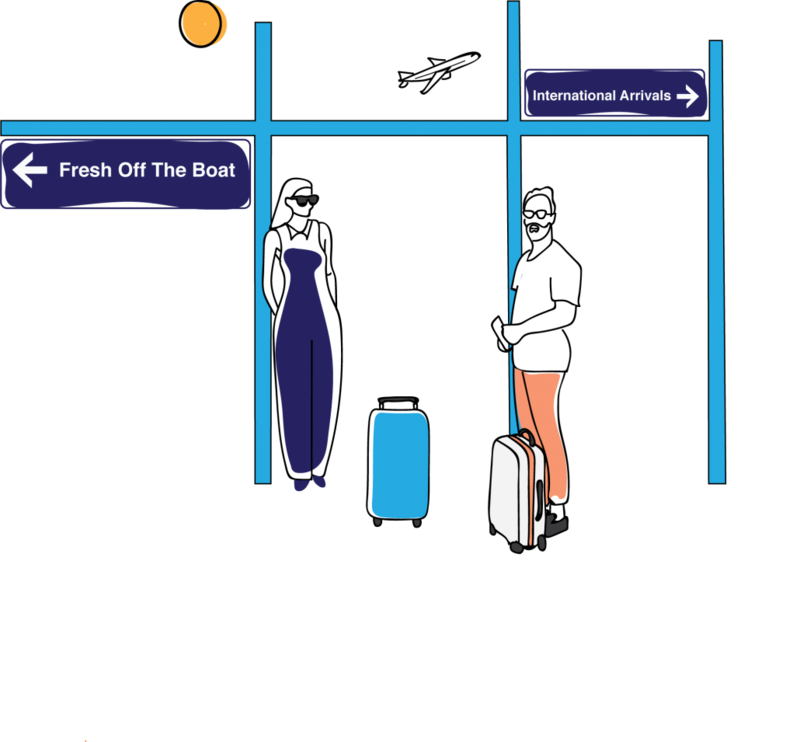 The acronym “FOB,” short for “fresh off the boat,” is a derogatory term often used to describe immigrants of Asian descent who have yet to fully assimilate into American culture. Trying to explain this concept to my immigrant mother, who embodies many of the stereotypical characteristics of a “FOB,” was like pulling teeth. My examples, essentially serving as a checklist of the attributes my mom exhibits, didn’t seem to clear things up for her. So was it an insult then? Simply put, the answer is yes. The term “FOB” is more often than not used as an insult. It shouldn’t be, but it is. However, what’s so troubling about the word isn’t its existence. It shouldn’t be a surprise to anyone living in the United States that there are words that mock immigrants who don’t speak perfect English and wolf down hot dogs the moment they arrive in Trumpland. This culture is so widespread that it seems normalized among American-born Asians. We ask ourselves questions like, “Can I wear these striped Nike track pants, or will that make me seem too ‘FOB-by’? Is it possible for me to wear trendy streetwear without seeming like a ‘FOB’?” Such concerns perpetuate a toxic culture of alienating immigrants and exemplify Asian-on-Asian racism directed at immigrants from natural-born citizens. International students are especially easy to target. The language barrier instantly separates them from other students and intensifies the challenge of coming to college even native-born students face — I can only imagine how difficult it is for international students to become acclimated to events socially, especially since there’s no shortage of memes making fun of international students and mocking their fashion choices, their tendencies to congregate in groups or even their stereotyped smoking habits. There’s a degree of cultural dissonance here, where dressing the way they would in their home countries invites laughter and mockery. I often wonder, if people were treated like international students in the U.S. often are when they study abroad, would they still laugh at international students when they returned home? If, when you studied abroad, you had to go alone without any fellow classmates or friends with you, would you be able to adapt as quickly to your abroad country as international students are expected to in America? American-born Asians should know firsthand what it’s like to be discriminated against due to race. How can American-born Asians in good faith discriminate against our own race because they don’t act the same way we do? American-born Asians are all descended from “FOBs” who first immigrated to America, a fact we seem to readily forget all too often. Instead of mocking others for not adhering to our social and cultural norms, maybe we should just mind our own damn business. Albert Qian is a junior writing about Asian identity. 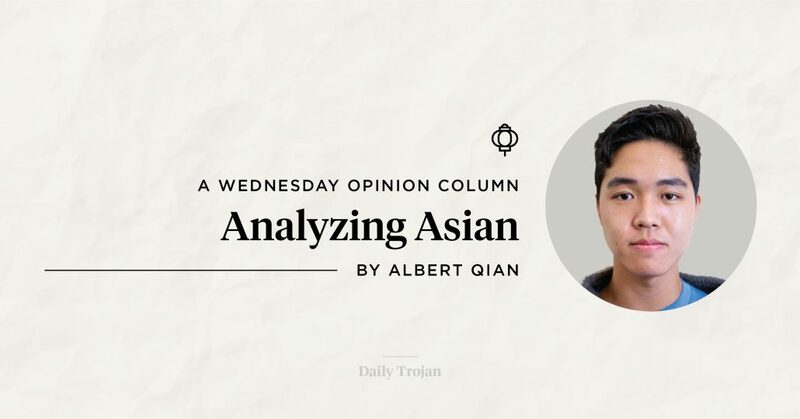 His column, “Analyzing Asian,” runs every other Wednesday.